Join Amazon Web Services for this complimentary webinar where we will walk through AWS CloudFormation and show you how to build a template that will launch a configured instance in AWS. AWS CloudFormation is a comprehensive templating language that enables you to create managed 'stacks' of AWS resources, with a growing library of templates available for you to use. But how do you create one from scratch? In this webinar we'll take you through building an AWS CloudFormation template from the ground up, so you can see all the essential template constructs in action. 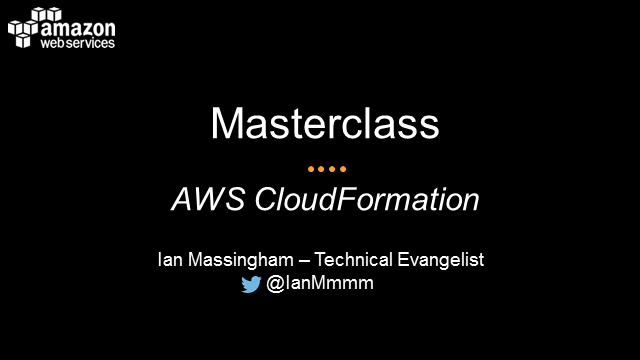 • Developers, engineers and architects wanting to understand how to create a basic AWS CloudFormation template.